Even if quite a few gamers have been disappointed by the fact that Ubisoft won’t be releasing a mainline Assassin’s Creed game this year, at least there’s the big-budget Assassin’s Creed movie to look forward to this December, and also The Ezio Collection remaster which will be released this November. This remaster will certainly be greeted with open arms by nostalgic Assassin’s Creed fans looking to relive the games starring Italian hero Ezio Auditore (Assassin’s Creed II, Assassin’s Creed Brotherhood and Assassin’s Creed Revelations) on their new-gen console, and will also be welcomed by newcomers to the series eager to play what are arguably some of the best video games made to date. Ubisoft has now released a comparison video showing what to expect from the remaster in terms of graphics (see below). And it’s clear that the visually upgraded games in The Ezio Collection trump the originals when it comes to colour, clarity and distant details, as faraway buildings have a level of detail which wasn’t present in the old Xbox 360 and PS3 versions of these games. So should players get The Ezio Collection this holiday season? If you haven’t played the last-gen originals it’s something of a no-brainer, especially for those who like Prince of Persia-style games with a good historical setting, but even fans of action-adventure games would be ill-advised to miss The Ezio Collection. 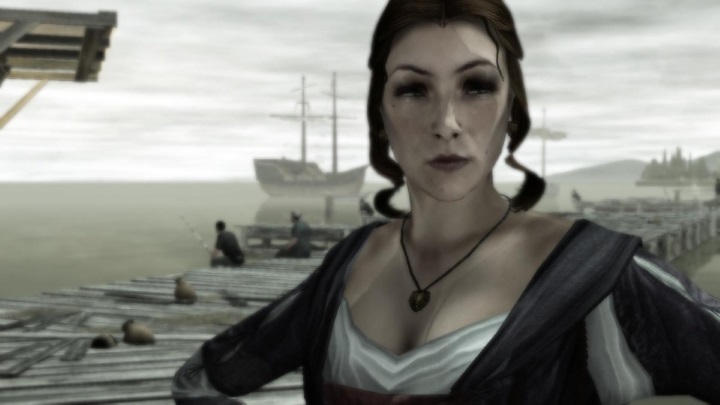 It’s a different thing if you’ve already played the game on last-gen consoles though, especially considering that Assassin’s Creed II is backwards compatible on the Xbox One and that its successors Assassin’s Creed Brotherhood and Assassin’s Creed Revelations are likely to be too in the future. You might still go for the Ezio Collection if you crave the visual enhancements and want all the games together in one package with all the DLC and the animated movies related to the games released by Ubisoft, but it’s likely not an essential purchase for those who have already played the games to death. And since a PC version of The Ezio Collection does not appear to be available, PC gamers will sadly have to be content with replaying the original games. But still, the remastered editions of the Ezio games on consoles won’t look much better than the original games did on PC back in the day, while the DLC and other extras can be purchased separately, so it’s not like PC players will be losing a great deal here. It is clear though, that a new Assassin’s Creed release is always something to cheer about, even if we won’t be getting a new mainline game in the series in 2016. But still, here’s hoping the series returns in full force next year, while those fans who get The Ezio Collection will be able to relive the epic adventures of Assassin’s Creed hero Ezio Auditore on their new-gen consoles this holiday season.